A similar Weekly Walk through Hurricane Sandy territory again, but we start returning to our usual paths of favorite Twitter and Facebook posts also. Shoes on. Leashes ready. Let’s go. From the seventies to the fifties! “Obie is up and has made it to the 50’s weighing in with 59.14lbs! !” Woof! 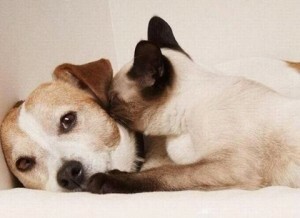 I think I see a secret! Puppy Fetch is an online game that puts you in the fetching position rather than the throwing. Use your arrow keys to guide the dog and use spacebar to jump. The objective is to complete each fetch with speed. There is background music and sound effects, so you might want to wear headphones or mute your speakers. Thank you for the company on this Weekly Walk. We would love to hear your stories about family pets, so please feel free to share them here, on Twitter, or Facebook. Woof! Our last Weekly Walk covered ways to help victims of Hurricane Sandy. Many humans and animals have been rescued, and we want to start this walk by sharing a few websites we check for updates about the progress of saving pets. The three organizations listed below are the same that we mentioned in our previous post about donations. The HSUS posts regular news stories about their efforts on the East Coast. Click here for their news page. One of our favorite stories involves rescuers dutifully plodding through deep sand to find a room of hoarded and abandoned animals. Global Animal Foundation has a wonderful update about efforts being made by several rescue organizations. They have also raised nearly $3,000 in funds to distribute to organizations like HSUS. 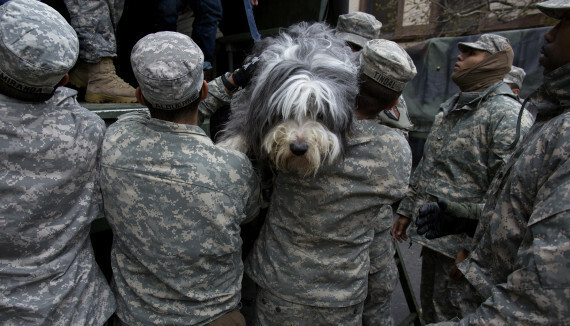 People still regularly post photos and information about displaced pets on the Facebook page Hurricane Sandy Lost and Found Pets. People also share when owners and pets have been reunited as well, so it’s a useful resource if you’re still missing a pet after the hurricane. Despite the added stress of a court case in his life, Obie lost more weight! He’s now 60 lbs! Visit: Stop by last week’s walk to learn how you can help victims of Hurricane Sandy. BuzzFeed has 41 photos of dogs prepared for inclement weather. No game today but an app. Lost Petz is designed to send alerts and share information about lost pets. From their website: “The Lost Petz App has been developed to allow pet owners to send out an alert to other pet loving people in the community if their pet goes missing. The alert includes a current photo and additional relevant information about the pet; allowing an anxious pet owner to recruit the assistance of everyone in the vicinity to help reunite them with their pet.” See the website, a write-up by the American Humane Association, and check out the app in iTunes. Thanks again for taking this walk with us. As we said last week, more donations and aid are always appreciated for victims, and even sharing information about where people can receive help is important. Pass on details you think we should know about in the comments below, on Twitter, or Facebook. Woof.